Who's afraid of the Big Bad Wolf? Not me, but there are so many other things I am afraid of. Halloween is the time where you can face your fears and put a little scare into others. 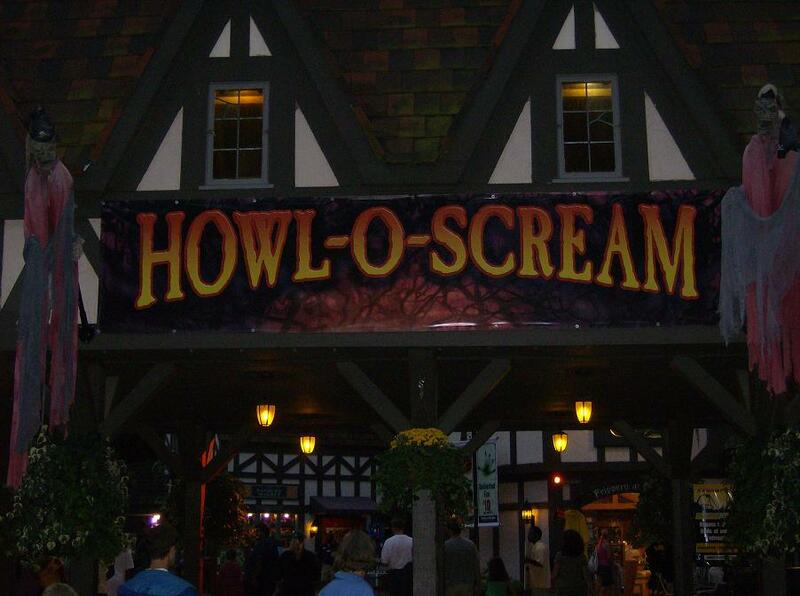 Why not spend this October hitting up places that have good old fashioned ghosts and goblins? 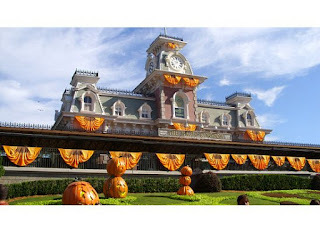 The past few years we attended the Halloween events at Disney World's Mickey's Not So Scary Halloween Party and I look forward to checking out the Disneyland events and returning to EuroDisney to check out the party happenings there. This year, I'll have to live vicariously through everyone else. 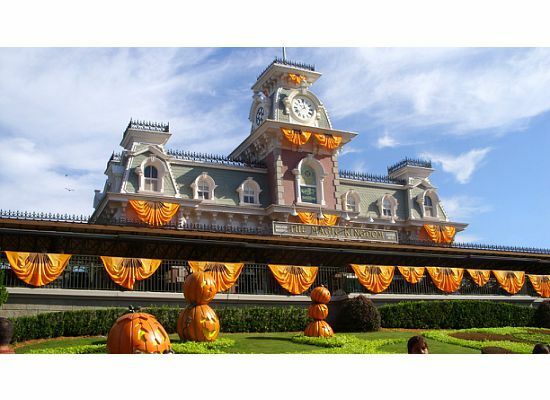 Many park days at the Magic Kingdom and Disneyland in Sept-Nov are cut short for this party that requires a special ticket to get in. From 7pm to midnight, many of the park guests come dressed in costume to enjoy 5 hours of trick-or-treating, dancing, nighttime thrill rides (only specific rides will be open during that time, not the whole park), Hall-o-wishes fireworks display, an all-villain musical show in front of the castle, villain meet and greets, amazing park decorations and, best of all, a special parade opened with the Headless Horseman on horseback. It’s all totally Disney and so out of their normal festivities that it’s worth putting off your vacation until that time of year. 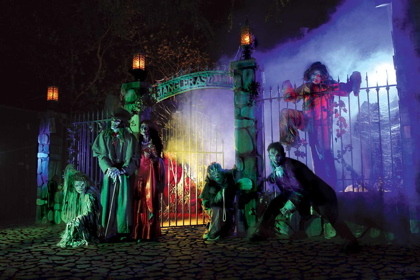 Knott's presents Knott's Scary Farm. Save $6-23 on your tickets by buying them online instead of at the gate, where they will be $57 each. Sea World has a great event for the little ones and admission is included with your regular park ticket. It's called Spooktacular and it offers trick-or-treating, silly and spooky shows and kids are encouraged to come in costumes. Now, that's just the major theme parks that have fun activities. There are plenty of other activities the world over that you can get in on. Here are some inexpensive things you can do during the fall season or any other time of the year. Paris Catacombs. There are miles of underground tunnels underneath Paris full of human bones that were put there when the cemeteries became overcrowded. Even now they are still crowded, but with tourists. Get there right at opening and beat the crowds. Lines can stretch up to 2 hours long and with prices at only 5 Euros per person, it's one of the cheaper things you can do in France. If you want to skip the lines and go on a 2 hour guided tour with a small group. Viator can help you with this if you're willing to pay more than 5 Euros. For a little more than $54 per person, you are guaranteed access into the Catacombs, which is extremely limited. Plenty of creepy things have come out of London. One of the most famous? Jack the Ripper. 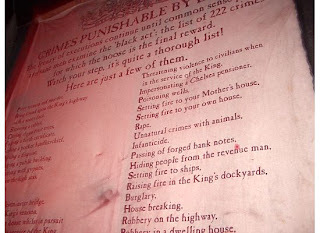 He was never caught and you can walk the same streets on a London night with a small group for around $15 per person. Feel some of the fear those women must have felt while standing in a dark alley and hearing about the gruesome and brutal murders that happened on the very spot. New Orleans has always claimed to have a rich history in the occult and creepy myths. For an hour and a half walk among the darkened streets on the New Orleans Vampire Tour for only $20 per person. Many other walks are available, but who wouldn't want to believe in the undead and the horrible things that happen in the shadows of the city? New England always seems to be the backdrop for creepy and bizarre happenings. Stephen King loves to write about New England in his scary novels, too. One such story, which happens to be true, is the tale of Lizzie Borden in Massachusetts. 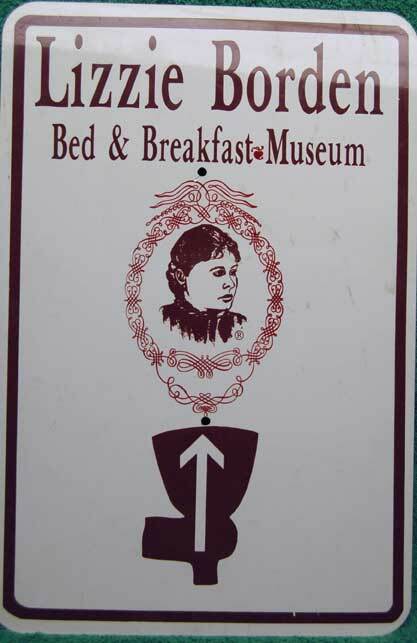 Not only can you stay in the very house both her parents were murdered in (whether she did it or not, as she was never convicted, but moved to live outside of town where she was shunned for the rest of her life), you can also take a tour of the Lizzie Borden Bed and Breakfast. As cheerful as a B&B sounds, this one claims to be haunted. People have said to have had many encounters with ghosts while staying there, but if you can't get in to sleep there or are too scared, take the tour. They are only $12.50 per person and occur only during daylight hours, so there's (mostly) nothing to be afraid of, but what happened to the real murderer? Portland's Shanghai Tunnels are quite a tourist attraction. There is a whole city of tunnels under the Oregon town's downtown area. For $19 per person you take a flashlight tour of the tunnels and learn about how people would be pulled into the tunnels (often drunk), have their shoes stolen and forced into slave labor. 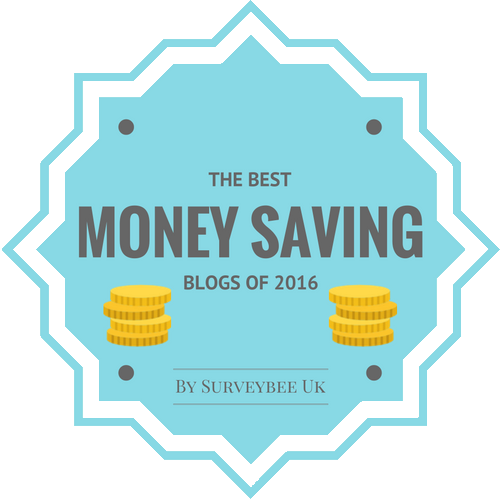 If you missed my blog post on underground sightseeing, find it here. Winchester Mystery House. Tour 110 of the 160 rooms of the house that took 38 years to build and has stairs that lead to nowhere and doors that open into walls. There are several tours to choose from, including a flashlight tour special for specific October dates. Tours range from $25 to $33 per person and should be purchased online. Almost anywhere you go that has open land will have a corn maze. You can go during the day or the evening and enjoy getting lost in a labyrinth of corn! 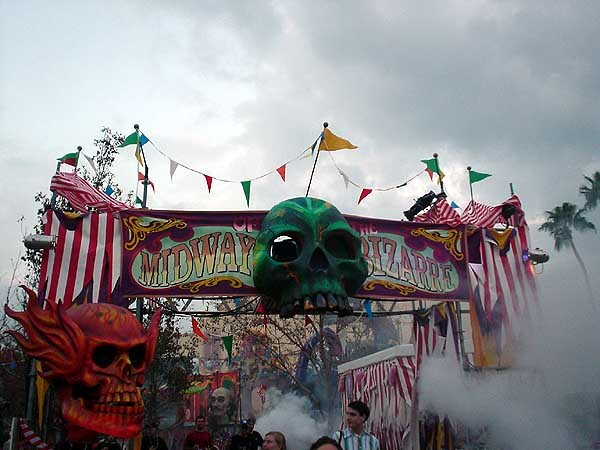 The daytime maze will be fairly tame and the maze at night is dark and may have several spooky surprises. Though you may not be able to take advantage of pumpkin picking, you CAN stop at the general store they have set up and get some local foods to take home, like pumpkin butter and huckleberry candy (okay, that's probably just what we have here in Oregon). Check out some fun musicals for Halloween season. Search for discounts on great theater in London on BroadwayBox. Two musicals that might be of particular interest to you are Thriller Live and Wicked. I look forward to finding out all the new fun Halloween activities for the this season. What are the cool things to do in your town that are fun and affordable? I wish we were going to the Disney party...but we ARE going to Zoo Boo! I'm following from the Blogaholic Social Network Halloween Hop! I hope you have a fun and safe Halloween! I'm following through Google Friend Connect, Facebook, Twitter, etc. if applicable!